Following on from my coverage from the last Rockingham Outer Paddock day, here are a few photos I took of Tom Shaw of Slipwheel‘s PS13 Onevia. I can’t remember if I’ve mentioned it in a previous blog post but this car actually used to belong to my friend Gutty, who I first met when he used to daily drive it sometime around 2011 (here’s a random photo of it I took in October 2011, just after it got painted silver, having previously been custard yellow). Visually at least, it’s changed a lot since its days of metal rear arches and plastic bumpers. When Tom came into ownership of the car, he’d got his mind set on following in the footsteps of what was (arguably, at least) the most iconic look of the C’s Garage Onevia over in New Zealand. I don’t blame him to be honest; I’d only just got my driving license when I came across the photos and knew that, one day, I just had to build a car with a similar style. 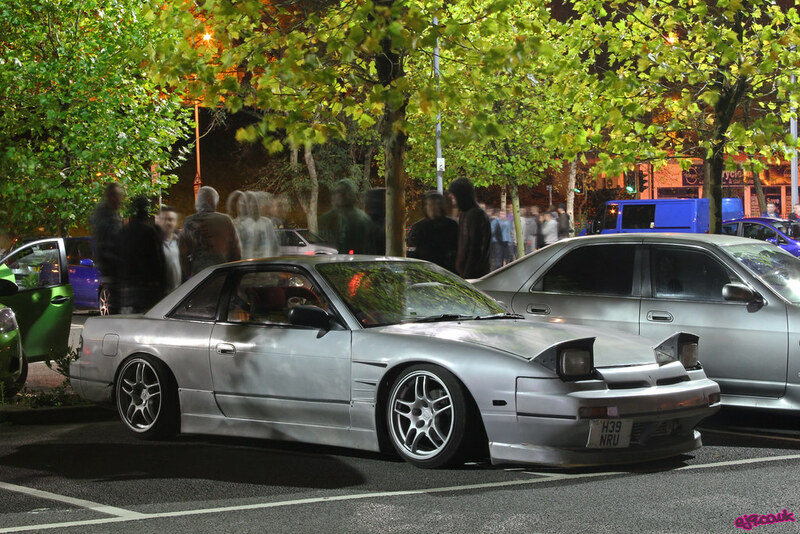 To be honest, I wouldn’t mind betting that it was this car that showed that the super wide body/extra deep dish wheel trend could be done outside of Japan, causing many to re-evaluate their builds at the time. The full interior still remains, although it’s looking a bit more vibrant than it did the last time I remember sitting in it. The essentials (steering wheel, bucket seat, handbrake button) are all present and correct but, my favourite feature by far has to be the cup/phone holder mounted to the air vents. Tom has been honing his skills in his Onevia for a over year or so now and has always stayed true to the wide body/big wheel look throughout. While this may not have been the most sensible approach from a financial standpoint (skinnier wheels and tyres would have certainly helped!) 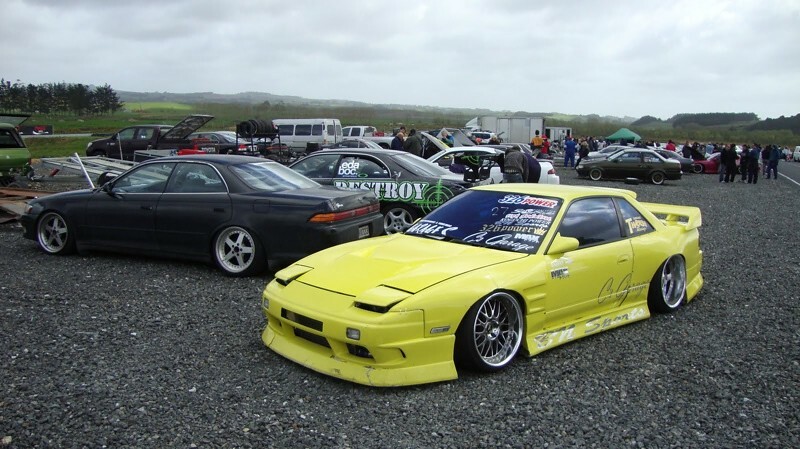 it’s nice to see that he remained true to ensuring his car still looked the way he wanted while getting to grips with his drifting technique. Some people will never understand this, while others will be able to relate completely. At Rockingham last Sunday, Tom got his first chance at driving with a bunch of more experienced drivers, such as Dan and Alex from Low Origin (pictured above). There were a few hair raising moments but Tom battled his nerves and was soon mixing it up with the best of them in both the chase and follow positions. …and was also able to supply him with an STL fibreglass rear lower light panel. OEM versions are becoming increasingly hard to find in good condition at sensible money, which is something I discovered when building my old PS13. As a result, I thought they were a good product to put into production. He wasted no time in trying to ruin this one as well though!